This open area of former agricultural land comprises Ash Green Meadows in the western part, characterised by semi-improved damp grassland, and a number of improved grassland fields in the east. Scattered Oak trees within the eastern fields create a pleasant parkland character and mature wooded strips, hedgerows, scrub and seasonal ponds add to the rural atmosphere of the site. A number of footpaths provide opportunities for enjoyable circular and short walks and wildlife spotting. 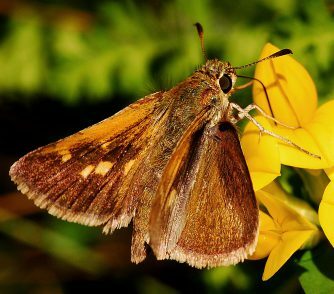 For regular blog updates on Ash Green Meadows, visit the Blackwater Valley blog here. A free car park is located at the end of South Lane. The postcode is GU12 6NJ. While there isn't a cafe on site The Greyhound is located nearby on Ash Street and is open daily from 11am. This takes approximately 5 minutes to drive or 15 minutes to walk to. The site is free to use. A byway along the local disused railway line forms part of the northern boundary to the site and is accessible from the car park, which includes disabled parking. The land is generally level throughout with mobility access gates provided at key site entrances. A raised boardwalk provides year-round access to the damp grassland. Well controlled dogs are welcome. Walking, bird watching and wildlife spotting. The site includes Ash Green Meadows (Cardinal Fields), a Site of Nature Conservation Importance (SNCI) which is home to a range of damp grassland species including Sneezewort Achillea ptarmica. Ephemeral ponds and a number of wet ditches add further ecological interest in this area. Associated with the improved fields are a number of scattered Oak trees, wooded strips, boundary hedgerows and scrub areas that support a good diversity of species. 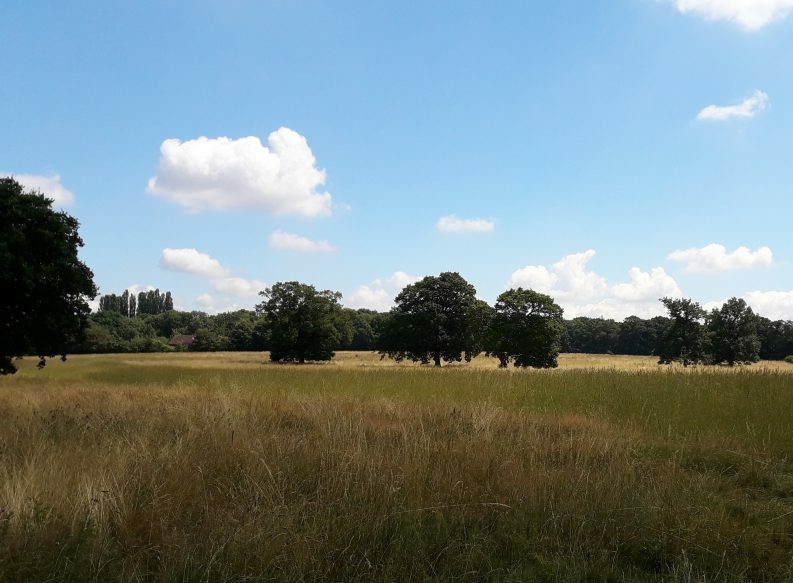 This Suitable Alternative Natural Greenspace (SANG) was established in 2018 by Bewley Homes PLC as a condition of its Section 106 Agreement for the development of up to 400 new homes on land south of Ash Lodge Drive, Ash. 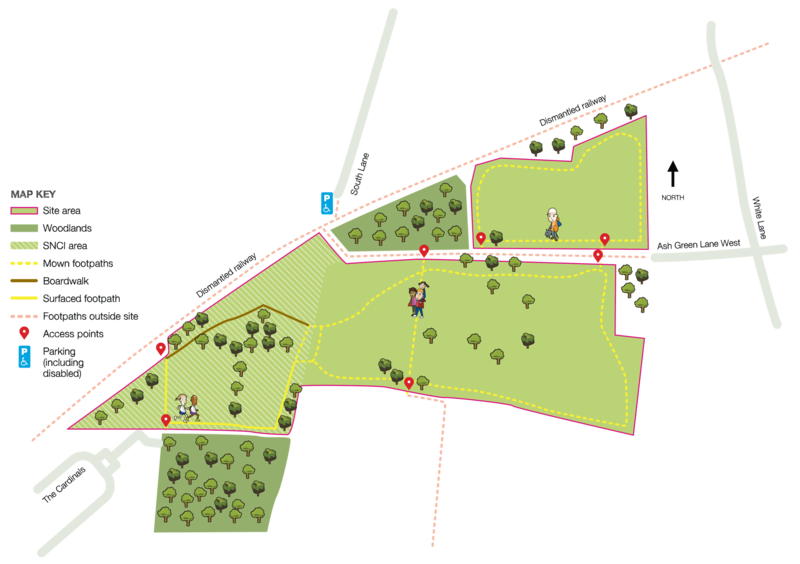 The purpose of this and other SANGs is to avoid increased recreational pressure on the Thames Basin Heaths Special Protection Area (SPA) from new residential development by providing alternative recreation areas that offer a similar experience to the SPA. Formerly, the western area (Ash Green Meadows) was grazed by a small number of horses throughout the year, whilst the eastern fields formed part of a larger area used for hay production and rotational horse grazing. Following the setting up of the SANG, grazing ceased and the site is now managed in accordance with a SANG management plan. 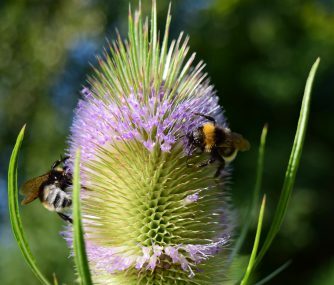 The Land Trust took over responsibility for this space in October 2018 and is managing the site in partnership with Blackwater Valley Countryside Partnership (BVCP) who undertake the day-to-day management locally. Management of the site, through the SANG management plan, aims to provide an attractive area for recreational use for new and existing residents, protect and enhance the sites’ ecological interest and seek opportunities to diversify this interest through the creation of new and diverse habitats. To contact the Land Trust about this site or how we could help manage your space please email our Estates Manager Steve Crosby	.